When I started The Battle Within, it was not only a replacement for my lost professional identity due no longer being able to work fulltime due to my health; but it also was a way for me to process being diagnosed with an extremely rare autoimmune disease, Lambert- Eaton Myasthenic Syndrome, or LEMS. Having a disease that is so extremely rare meant I became a “treatment teammate” with my neurologist. We were in constant communication on treatment information that we both found. My background in the life sciences and pharmaceuticals came in handy as I was able to digest what I was finding while doing research. 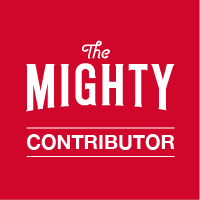 My health education background and innate need to write brought about the birth of this blog, and led the way to many of these posts also being featured on the largest chronic illness website, The Mighty. A musician will tell you, they need to compose music. An artist will tell you they need to paint, to draw, to sculpt. An author will tell you they needed to write the book. A poet needed to write the poem. Well, I needed to write this blog. Never did I once write when I didn’t feel the need to write. Each and every post churned inside me and on certain mornings it came out through my fingers onto this keyboard. The post was usually live by the afternoon. Sometimes I’d give it a day to settle and then do a reread and edit. Most often, though, the posts were my most authentic thoughts about whatever was going on with my battle within, with very little editing. Never once did I realize how far this blog would travel. I did realize I was opening up my medical history with my very first post, but I was okay with that. If what I was going through and shared helped other patients with autoimmune diseases to advocate for themselves, then this blog would not have been a waste of e space. Not everyone is as strong-willed as I am. The medical world can be a scary and often intimidating place, especially when you have an invisible illness. Not all doctors are specialists. Not all specialists are special. Not all patients know what the important things are to share. This is why I share my entire story. Last week, I was invited to share my LEMS story at the launch of the very first FDA approved LEMS specific medication, FIRDAPSE ®, in Coral Gables, Florida, for Catalyst Pharmaceuticals. Thanks to my blog, I had been invited to numerous LEMS patient advocacy events in the past year. I have met numerous Catalyst employees and have been impressed by their compassion and wanting to completely understand how patients’ lives are affected by LEMS. Last week I was introduced to another LEMS patient who was also in Coral Gables to share his LEMS story. When I introduced myself to his wife, she replied: “I know who you are, I follow your page!” What? Really? Meeting one of my blog’s biggest fan’s, Pat McEnany, Catalyst Pharmaceuticals’ Co-Founder and CEO. It wasn’t until last week that I had the opportunity to meet Pat McEnany, CEO and Co-Founder of Catalyst Pharmaceuticals. I never in my life could have imagined that moment when I started writing The Battle Within. Pat shook my hand, looked me in the eye and told me he’s read my entire LEMS story because he reads all my posts. He then said that I’m a very eloquent writer. I was star struck. The CEO and Co-Founder of the company to bring the first FDA approved medication, FIRDAPSE ®, to the US treat my extremely rare autoimmune disease, Lambert Eaton Myasthenic Syndrome, is a fan of my writing? What started as a way to rebuild my self-worth and to help others with invisible illnesses to advocate for themselves, literally has taken me to places I never imagined when I first submitted my request to be a blogger with The Bangor Daily News. Thank you to the Bangor Daily for giving me this platform. Thank you to my readers for reading and for sharing my story because, without you, I’d be just wasting this precious e space. For those who are still seeking treatment that works: Catalyst Pharmaceuticals has two ongoing clinical trials. If you have or know of someone who has a Congenital Myasthenic Syndrome, click here for more info. Or if you or someone you know has MuSK-MG click here for more info. Clinical trials are the way to bringing more FDA approved treatments to patients! Disclaimer: Prior to becoming disabled due to Multiple Autoimmune Syndrome (MAS), I have worked in public health education, pharmaceutical sales & marketing. I now consult on a part-time basis for Optio Biopharma Solutions that provides consulting support for pharmaceutical manufacturers. This post, like all of my blog posts, however, is written from my own personal experience as a LEMS patient and is not in any way commissioned or sponsored by any entity.